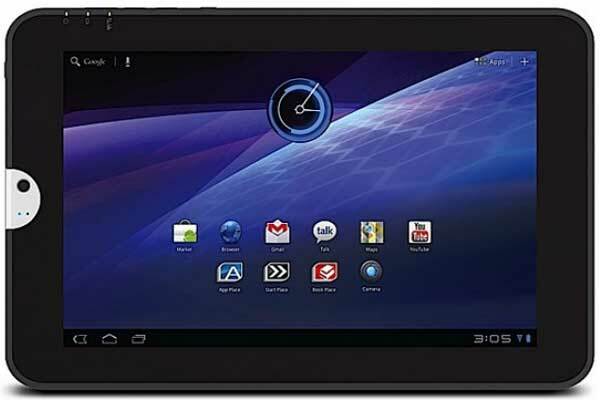 Toshiba are entering the tablet space race with the Toshiba Tablet, (model number AT100). You might have seen the release details overseas of the Toshiba Thrive tablet computer– the AT100 looks a like a slightly down-specced version, hence why it’s not named the Toshiba Thrive, which I think is a slightly cooler name. Slightly. What is arriving is a 10.1-inch multi-touch, backlit LED screen tablet, running on the Android Honeycomb 3.0 operating system and Nvidia Tegra 2. Ports include USB 2.0, HDMI and an SD Card slot, and in a dig at Apple’s iPad 2, Toshiba’s official press release and video cannot help but point out the Toshiba Tablet’s ability to display “the whole web” in that it is Flash-friendly, and does have a removable battery. 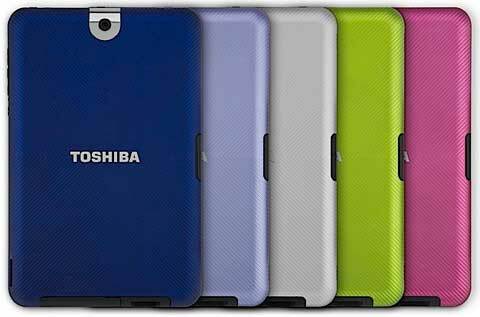 The Toshiba Tablet has a release date of “the end of June”, and will sell for $579 RRP. Optional extras include interchangeable coloured back covers in Silver Sky, Blue Moon, Green Apple, Rasberry Fusion and Lavender Bliss. Yes, those are real colours, and are tablet covers, not housepaints. Also available, a hard-cover Portfolio case, with an adjustable stand, for $49.95 RRP. The final optional extra is the Toshiba Multi Dock, with a HDMI port for connection to an HD TVs and LCD monitors, two USSB 2.0 ports, and charging via powerpoint. The Toshiba Multi Dock will sell for $89.95 RRP.